WORLD PREMIERE OF NEW RESTORATION! 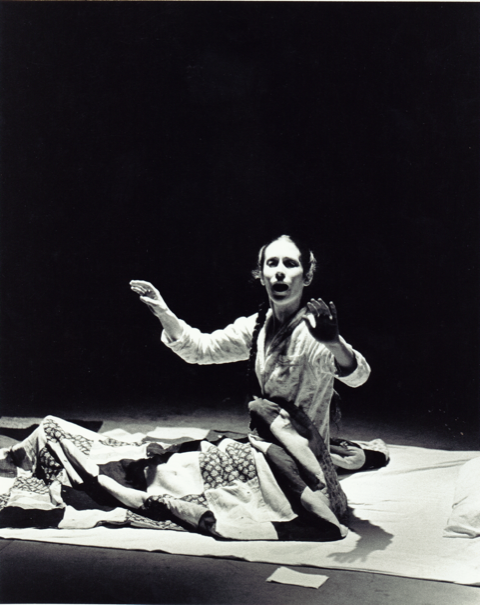 Composer, singer, director/choreographer, and filmmaker Meredith Monk created QUARRY: AN OPERA IN 3 MOVEMENTS as a live stage work between 1975-76 – with her company, The House – as a mosaic of music, images, movement, dialogue, film, sound, and light. A meditation on WWII and recurring cycles of intolerance, fascism, and cruelty in history, QUARRY centers on a sick American child (played by Monk herself) whose world darkens as her illness progresses. This film version, shot in the Lepercq Space at the Brooklyn Academy of Music in 1977, was directed by Amram Nowak and supervised by Monk, and includes her 1975 short silent film of the same name. Considered a masterwork of the 20th century, the piece is as prescient today as it was 40 years ago. It is at once a myth, a documentary, and a memorial. Preserved with funds from the National Film Preservation Fund, the Women’s Film Preservation Fund of New York Women in Film & Television, and individual donors. Meredith Monk will attend for a Q&A following the screening! Quarry received the WFPF Grant in 2001. Tickets – $8, available at door. Before Bette Gordon made her 1983 feature Variety, she made several short experimental films influenced by feminist theory in the 1970s. One of these is An Algorithm, a structuralist film of a female diver making three dives, shows her on going fascination with women as desired object and eroticism. The mathematical frame by frame printing and male and female voices reciting frame counts, frustrates the male gaze at this potentially sexual subject, never allowing the diver to complete her dive. An Algorithm was preserved by Anthology Film Archives, with funding from the Women’s Film Preservation Fund. In the late 1960s and 1970s, numerous media organizations arose driven by the desire to give voice to those ordinarily marginalized by the mainstream media. Among this wave was Women Make Movies, a female-led, community-based media education center founded in New York in 1969 to empower women to tell their own stories by teaching them the technical production skills to pursue their own film and videos projects. While Women Make Movies, Inc. has since become one of the most impactful and important distributors of independent film produced by women, its early origins as a production and community-based teaching group have been largely forgotten. 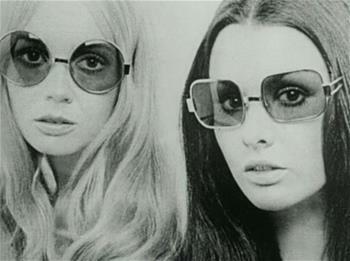 Sweet Bananas (1974), Ariel Dougherty, Director, 30 minutes, digital projection, not yet preserved. A roundtable discussion moderated by Tanya Goldman, Cinema Studies PHD candidate, will follow the screening. The panel will include Women Make Movies co-founders Ariel Dougherty and Sheila Paige, and Dr. Alexandra Juhasz, Chair of the Film Department, Brooklyn College, CUNY. The most recent Women’s Film Preservation Fund grant cycle closed June 15th, 2018.
on June 2nd and 3rd. ease in women making films. Their focus, women’s experience, had rarely been a topic for the screen before. Along the way, they reshaped filmmaking in ways that have impacted it even today. Finding it difficult to attain creative positions in the film industry, women made films on the outside. Largely uncensored, they sought new means of expression, utilizing innovative approaches to storytelling and introducing dream imagery, diary excerpts, poetry, animation, and experimental techniques in films of all genres. Artists and Activists features WFPF’s roster of feminist preserved filmmakers: Julie Dash, Lourdes Portillo, Bette Gordon, Barbara Hammer, Lisa Crafts, Julia Reichert, Maxi Cohen, and the Newsreel and Kartemquin Films collectives. Other important feminist voices are included: Joyce Chopra, Su Friedrich, Amalie Rothschild, and Madeline Anderson whose works have not been preserved by the WFPF. with programming assistance from Susan Lazarus and Amy Aquilino. To see the entire film schedule, please click here. Professor and author, Marsha Gordon and independent researcher, Charles “Buckey” Grimm present Camerawoman Angela Murray Gibson Films Herself into History, 1921-1925 at Orphan Film Symposium. Included in their study on silent era North Dakotan filmmaker, Angela Murray Gibson, the recent Women’s Film Preservation Fund and Kino Lober preservation of THAT ICE TICKET (1923) will screen for symposium attendees. 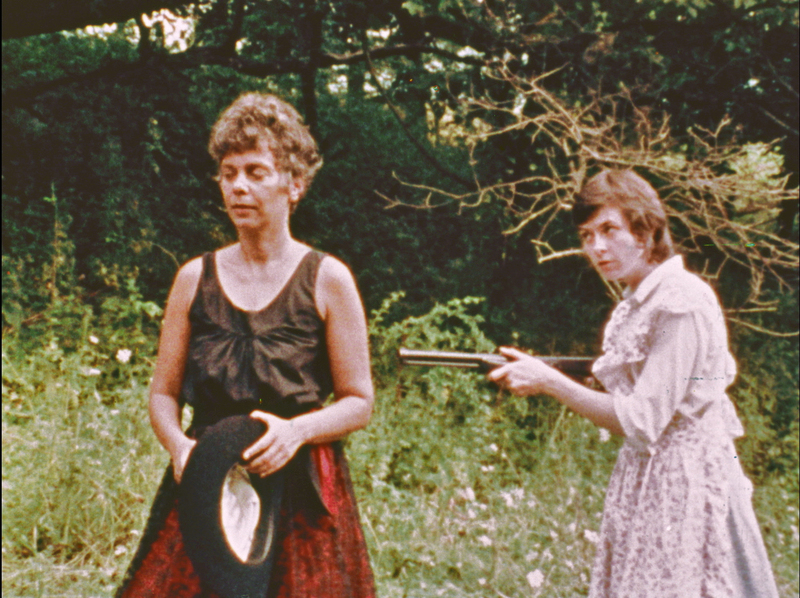 Newly restored films from Women’s Film Preservation Fund and its preservation partners. Sisters! 1974. USA. Directed by Barbara Hammer. 8 min. Metroliner. 1975. USA. Directed by Victoria Hochberg. 35 min. Doppelganger. 1987. USA. Directed by Peggy Ahwesh. 8 min. The Women’s Happy Time Commune. 1972. USA. Directed by Sheila Paige. 47 min. Join Women’s Film Preservation Fund, UnionDocs and other archival and preservation collaborators to get answers to some of these questions in an introductory presentation on archiving and preserving film and video. This event offers a basic overview and first steps for the long-term safeguarding of motion pictures, making work accessible for exhibition and monetization over a lifetime. Co-presented with UnionDocs Fall 2017 through Spring 2018. To view the full program schedule please click here. 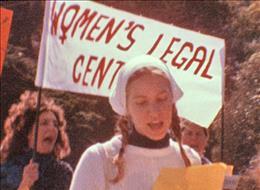 In celebration of NYWIFT’s 40th Anniversary, the Women’s Film Preservation Fund (WFPF) and UnionDocs present the film series From the Vault: Women’s Advocacy on Film which features restored documentary films by women filmmakers. All films in the series were preserved by the WFPF. Documentarians reveal the impact of events and contexts for changing attitudes that affect our communities, society, and the world. From the Vault: Women’s Advocacy on Film presents nonfiction films that have shaped movements and provided perspectives on political, environmental, and human rights issues; and ideas around gender identity and roles, sexuality, health and family, all from a woman’s perspective. These explorations of story and truth, their innovative approaches to documentary film-making, and their subjects continue to be relevant today to filmmakers, activists, and media consumers creatively effecting change. UnionDocs and the WFPF invite filmmakers and cinephiles to consider what can learn from our past explorers of story and truth, and how the film’s subjects and their filmmaker’s methodologies remain important and therefore essential to preserve and keep watching. To see the full program schedule please click here. This series is curated by WFPF Co-Chair Kirsten Larvick, with programming assistance from Co-Chair Ann Deborah Levy and Raquel Salazar-Foster. The five-Blu-ray box set titled, Pioneers: First Women Filmmakers, produced and distributed by Kino Lorber will include approximately twenty hours of material – showcasing the work o, under-appreciated filmmakers, while illuminating the gradual changes in how women directors were perceived (and treated) by the Hollywood establishment. The collection will include some of the Women’s Film Preservation Fund’s most significant silent era preservations. Check out the project’s campaign, which ends on November 18th. June 1st, 2016 — WFPF Grant Application Deadline. May 5th, 2016 — Ann Deborah Levy writes about the Women’s Film Preservation Fund on NYWIFT’s blog. Read “Protecting the Legacy for Over 20 Years”here. January 21-31, 2016 — Committee Member Susan Lazarus screens Sophie and the Rising Sun at Sundance 2016, a film she co-produced. Sadly, we lost our friend and grantee, Jane Aaron, on June 27th. A Jane Aaron Fund has been set up by the WFPF. Funds collected will be used to preserve a film by a woman filmmaker in Jane’s memory. Jane Aaron was an internationally recognized award-winning animator and a best-selling children’s book illustrator. Jane’s independently produced experimental films have been shown around the world,including in the Whitney Biennial and the Museum of Modern Art, and are in the permanent collections of MoMA, the Metropolitan Museum of Art, the Hirshhorn Museum, and the Walker Art Center. The Women’s Film Preservation Fund preserved five of Jane’s films. Sept 2-4, 2015 — WFPF Co-Chair Kirsten Larvick screens films preserved by The Al Larvick Conservation Fund, which she founded in honor of her grandfather. This grant provides support to individuals and organizations for the conservation, digital transfer and exhibition of home and amateur movies which were recorded in North Dakota State. April 21, 2015 — On Restoration Panel, Tribeca Film Festival WFPF Committee Member Susan Lazarus will join the preservation panel. March 25, 2015 — WFPF Committee Member Ann Deborah Levy screens her film “On the Train to Kutná Hora” at Another Experiment by Women Film Festival, at Anthology Film Archives. 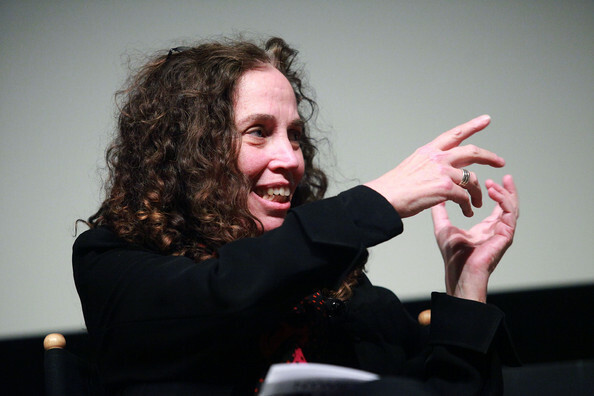 March 21, 2015 — Suzanne Pancrazi, NYWIFT WFPF Committee Member passes away. Established in 1995 by New York Women in Film and Television (NYWIFT) and The Museum of Modern Art, the Women’s Film Preservation Fund (WFPF) is the only program in the world exclusively dedicated to the preservation of the cultural legacy of women in the film industry. Since 1995 the WFPF has provided support for more than 100 American short and feature films. The fund’s core mission is to identify and preserve works in which the role of women was fundamental to the production; to present the preserved films in a public forum; to encourage scholarship about women in film history; and to partner with organizations demonstrating similar goals. The WFPF is especially respected at MoMA as a former Chief Curator of the Department of Film, Mary Lea Bandy (1943–2014), was a founder. In celebration of WFPF’s 20th anniversary, MoMA has invited the WFPF programming committee to select films that reflect the essential role of women in the continuing development of cinema as an art form. Organized by Anne Morra, Associate Curator, Department of Film, MoMA, with WFPF programming committee members Ina Archer, Kirsten Larvick, Susan Lazarus, Raquel Salazar-Foster, and Kim Tomadjoglu. October 31, 2014 — The Real Indies – A Close Look at Orphan Films Academy of Motion Picture Arts and Sciences, at New York University and the Orphan Film Symposium. October 1, 2013 — The WFPF received numerous applications for the 2013-2014 Grants Cycle. August 2012 — WFPF unveiled a new video highlighting its preservation work. The video included footage from Barbara Kopple’s Oscar-winning documentary Harlan County U.S.A. (1976), That Man of Mine (1947) starring Ruby Dee, and You Are Not I (1981) by Sara Driver, among many others. June 25, 2012 — WFPF was proud to be honored by Anthology Film Archives at its annual Film Preservation Honors. October 24, , 2011 — Restoration Premiere Screening of Make Out, Growing Up Female, and Janie’s Janie at The Film Society of Lincoln Center.